student loan borrowers have student loan debt greater than $100,000, with approximately 415,000 of them carrying student loan debt in excess of $200,000. Some retirement plan expenses can be paid for with plan assets — but many can’t. Which are the “reasonable and necessary” retirement plan expenses that can be paid out of plan assets? Generally, services required to maintain the plan’s compliance and administration can be paid from plan assets. Obvious examples include the annual nondiscrimination testing and preparation of the annual Form 5500. Another example is a plan amendment or restatement that is required because a legislative change. Review Your Portfolio. Know your investment mix and be sure you are invested in the appropriate asset classes (based on your risk tolerance and time horizon to retirement). Times like these reinforce the need to diversify (while diversification does not guarantee against loss of principal, it can help spread your risk among different asset classes and market segments). Periodically you review your plan’s fund lineup; you place some funds on Watchlist, you replace under-performers and you continue to monitor those funds that score acceptably. But, you see a dash next to your cash fund and wonder, what should you do? Traditional evaluation metrics can be difficult to apply to cash funds. You can look at returns, but without an appropriate benchmark or a way to directly measure the risk taken by the fund, the market value performance number can be difficult to interpret. Perhaps fees can provide the answer, but there are wrap fees, investment management fees and trustee fees, all assuming there is a stated fee to review in the first place. What is a fiduciary to do? October's Participant Memo is a flyer encouraging participants to not leave any retirement money on the table by not meeting the employer's match. These analytics can be helpful to determine which age groups are not strongly participating and may be encouraged to do so via on-site meetings, focused mailings and other communication and education. It’s important to conduct regular check-ups on your retirement plan to make sure you are on track to reach your retirement goals. Below are a few questions to ask yourself, at least annually, to see if (and how) they affect your retirement planning. Investopedia defines collective investments trusts as a fund that is “operated by a bank or trust company and handles a group of pooled trust accounts.” The CITs “group assets from individuals and organizations to develop a larger, diversified portfolio.”2 They differ from mutual funds in that they are comprised of pooled trusts not pooled securites. Believe it or not, staying healthy just might make you wealthy. With small lifestyle changes and healthy choices, you may reduce your annual healthcare costs and increase your income. These lifestyle changes can be as simple as limiting your salt intake or taking your prescribed medication regularly. The Internal Revenue Service’s (IRS’s) Employee Benefit Audit Program is used to audit and enforce. The IRS’s emphasis, with respect to defined contribution plans is on compliance with the requirements of the Internal Revenue Code (the Code), the plan’s tax qualification and administration of all plan documents. In the event of noncompliance with regulations, the IRS can impose taxes, penalties and interest. Most IRS audits are selected at random, but certain audit triggers exist that plan sponsors should be aware of. If the IRS suspects noncompliance, the chances of an audit will increase substantially. Answers to certain questions on the Form 5500 may also trigger an audit. Have You Conducted A Fee Equalization / Levelization? Fees in defined contribution (DC) plans can be complicated. Historically, fees have not been fully and simply disclosed, but the industry is changing towards greater and more understandable disclosure. Simply put, there are two basic types of fees: administrative and investment-related. The investment-related fees are deducted from earnings on participant accounts and will vary from one investment to the next. These fees are paid to the firms that are making decisions about how the various funds are invested in the market. Participants will pay different investment-related fees, as the fees are based on where the participant chooses to invest their assets. In our research, late deposit of contributions is a frequent error made by plan sponsors and is a key priority of the Department of Labor (DOL). In our experience, during every plan audit conducted by the DOL, the investigator looks to see if contributions have been deposited in a timely manner. A number of years ago, the DOL revised the instructions to Form 5500 requiring plan auditors to review and confirm that contributions are made in a timely manner. For this reason, it is unlikely that late deposit of contributions will go undetected in the case of plans subject to the audit requirement. From Wall Street Journal articles and editorials in Barron’s, to Facebook posts and holiday dinner conversations, Bitcoin is everywhere. This is not surprising when you consider Bitcoin’s exponential growth in 2017. In a year where the market saw new highs, one of the top performing mutual funds returned 105.73 percent¹, and a top performing stock in the S&P 500 saw 132.3 percent growth (NGR)², Bitcoin’s growth made these all pale in comparison. (S&P 500 Index is an unmanaged group of securities considered to be representative of the stock market in general. You cannot directly invest in the index.) Up 1,390.0 percent in 2017³, we feel that Bitcoin’s performance and proliferation is unquestionable. 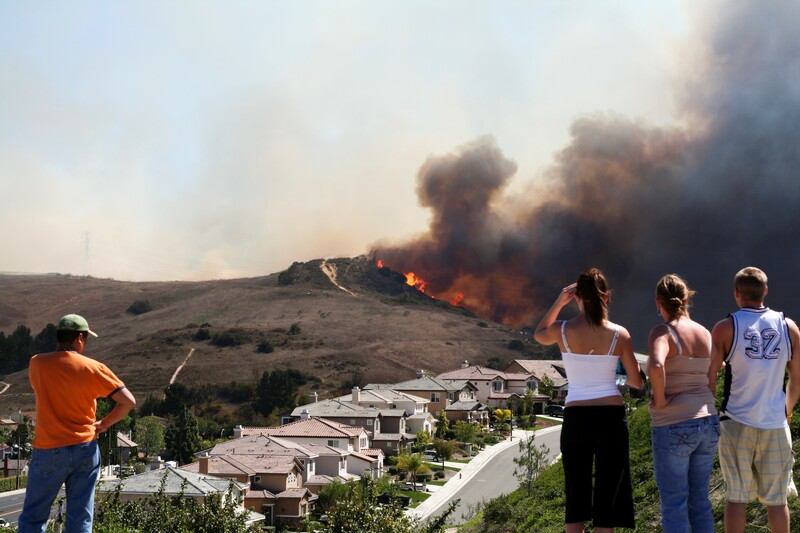 Recently, many individuals have been significantly impacted by hurricanes and California wildfires. Through several announcements the Internal Revenue Service (IRS) has provided relief for qualified individuals in retirement plans. In addition, President Trump signed the Disaster Tax Relief and Airport and Airway Extension Act of 2017 (“Act”), which provides tax relief for individuals affected by Hurricanes Harvey, Irma and Maria (“HIM”). Below is a summary of the recent communications, including new information from a recent IRS Announcement for Hurricane Maria and the California Wildfires, election forms, and other resources to help you take the appropriate next step for your plan. Time is a powerful modifier of perception and purpose. No need to look any further than the frequent rumblings surrounding fixed income in the current rising interest rate environment. That isn’t to say the frequently touted “bond bubble” and rising interest rate topics are unimportant or overstated, it’s merely a reaction to the volume and misappropriation of focus often exhibited in these ongoing conversations. Monitoring the trajectory of rising interest rates is a good idea, however letting it affect the way you invest in fixed income may not prove additive in the long term. We are now in the eighth year of an equity bull market, making this the second-longest upswing in American history.¹ Additionally, the bond market has been in a secular bull market since 1982 as rates on the 10-year treasury fell steadily from above 14 percent to below 2 percent last year.² The recent strong returns we have experienced may be difficult to sustain due to equity valuations, near-record corporate profit margins, and low interest rates. This is not to say we are in a bubble or an imminent bear market looms, however now may be a good time to reset long-term investment return expectations for participants. In fact, California’s state public pension system, Calpers, recently lowered their expectations for long-term investment returns from 7.5 percent to 7 percent.³ Even those reduced projections may prove optimistic. The term “alternative investments” may conjure images of classic automobiles, fine wine, rare art and valuable jewels. Some may think about the Honus Wagner baseball card that sold for $3.12 million at auction in 2016. Or about the 1962 Ferrari 250 GTO that sold at auction for a whopping $34.65 million in 2014. Or maybe they set their sights even higher and think about the Hope Diamond, with an estimated value of $200-$250 million. In the past few weeks, lawsuits were launched against twelve higher education institutions: Yale, NYU, Emory, MIT, Vanderbilt, Johns Hopkins, University of Pennsylvania, Duke, Cornell, Columbia, Northwestern, and University of Southern California. The law firm of Schlichter, Bogard & Denton filed 11 of the 12 putative class action suits, claiming breach of fiduciary duty under the Employee Retirement Income Security Act (ERISA) for providing a substandard plan model that allowed the plan participants to incur excessive fees.